Cruise from Manila with SuperStar Virgo and World Dream In 2018! Cruising has never been easier as Genting Cruise Lines’ brands, Star Cruises and Dream Cruises bring to the thriving Filipino travel market the ultimate cruising experience, all from their own backyard of Manila! Gather your family and friends this holiday season to plan on getting onboard these specially-curated, quality Asian itineraries fit to sate Filipinos’ hunger for travel. Star Cruises, Asia’s Leading Cruise Line, announced that SuperStar Virgo will be making her homeport return to Manila from March 5 to May 29, 2018 due to overwhelming market response from this past summer’s innovative “Jewels of the South China Sea” itinerary. 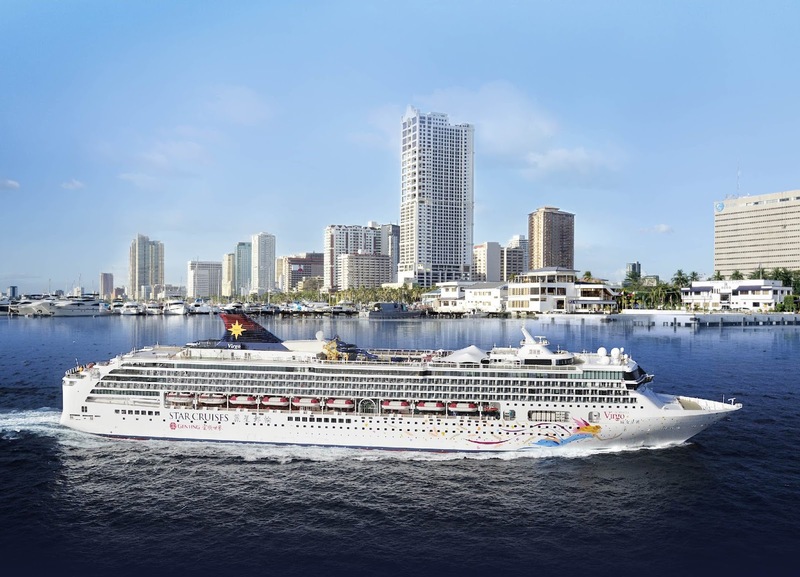 From her new home in the capital of the Philippines, SuperStar Virgo will offer guests a brand-new summer voyage to two of the top Asian travel destinations with exciting journeys to the beautiful islands of Okinawa, Japan and dynamic Taiwan! Still being the only international cruise liner to homeport in Manila, SuperStar Virgo’s new summer cruise from Manila will provide a scenic journey to the popular tourist hotspots of Naha and Ishigaki in Okinawa, Japan and the vibrant port city of Keelung, Taiwan with easy access to Taipei. Perfect for the summer holidays, SuperStar Virgo’s 5-Night cruise will allow Filipinos to embark on a new adventure with #NoVisaRequired! Genting Cruise Lines celebrated the arrival of Dream Cruises’ second new ship, World Dream as the sister ship to Genting Dream which debuted last November to great acclaim receiving a Star Performer Top Ten rating in the Large Resort category of the highly-revered Berlitz Cruising and Cruise Guide 2018 along with ‘Best New Ship’ and ‘Best Cruise Line – Entertainment’ recognitions at the Travel Weekly Asia Reader’s Choice Awards 2017, and will double the capacity for Dream Cruises, Asia’s luxury cruise line, in the region. On top of weekly alternating 6-day/5-night itineraries from Hong Kong and Guangzhou, World Dream gives Filipinosthe chance to experience World Dream with special one-way cruise itineraries from Manila to Hong Kong, as well as Fly-Cruise options from Hong Kong to Manila! World Dream will provide guests with the highest levels of service and spacious comfort that Dream Cruises has become known, with over 70 per cent of staterooms featuring private balconies and a selection of connecting rooms catering to extended families and groups. World Dream will also feature the well-received Dream Palace “ship within a ship” enclave offering more suites and all-inclusive options and privileges. Several new restaurant concepts along with exciting entertainment options that combine both high tech and sensorial experiences will provide a variety of leisure activities to please every passenger. World Dream will also feature the World’s First Himalayan Salt Stone Massage at Sea, over 35 restaurants and bar concepts, expanded duty-free shopping with new shops and brand partners, including Asia’s First Tiffany & Co. at Sea and the World’s First Dior Watches & Jewellery at Sea; and many more exciting features and entertainment. Last chance to avail of exclusive Promos that you can avail for as low as USD 412** applicable only until December 31, 2017! Both SuperStar Virgo and World Dream cruises can be booked through any local travel agency or via www.starcruises.com or www.dreamcruiselines.com respectively! For inquiries, call (02) 836 6080 or email salesmanila@gentinghk.com.